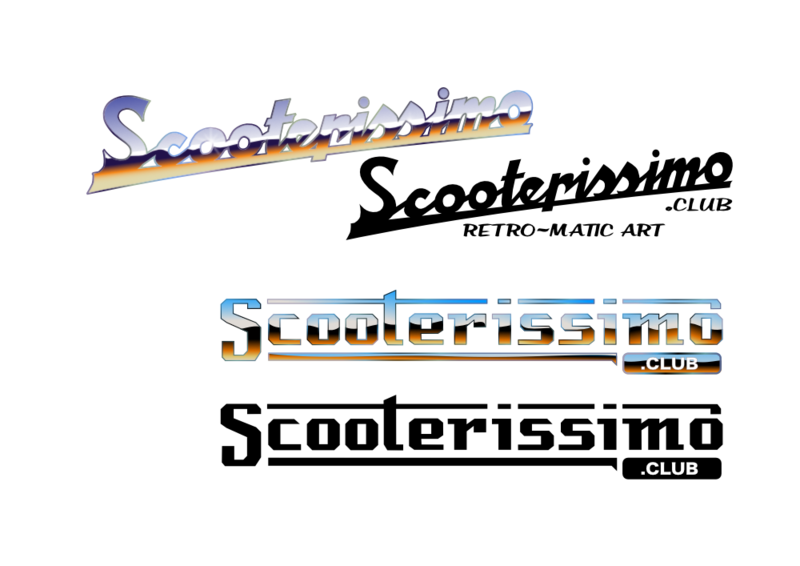 I created a logo based on those of Vespa and Lambretta (I'm a longtime enthusiast). I 'chromed' them over the last couple of days. I'm getting the hang of it now but it was quite laborious. 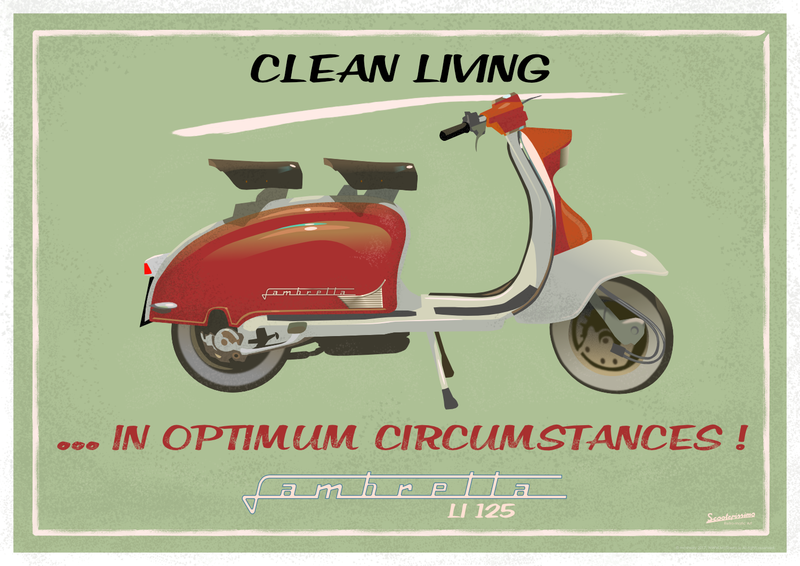 Here's a poster of the Lambretta Li125 from 1958, all vector. Nice scootery stuff too. How are you finding society6? Are they easy to deal with? Thanks Retro. I had to go looking for a tutorial on vector chrome effect. There was nothing in Affinity that I could find but a couple of Adobe Illustrator ones helped with the approach. It took me a while to figure out how to use the 'Expand Stroke' function but really, it was pretty straightforward. It'd be good to have a tutorial video in Affinity. There's a finessing detail that I just couldn't figure out -where you suggest light is catching at the very point the letter meets the bevel. I saw this on one of the AI videos. Clever. 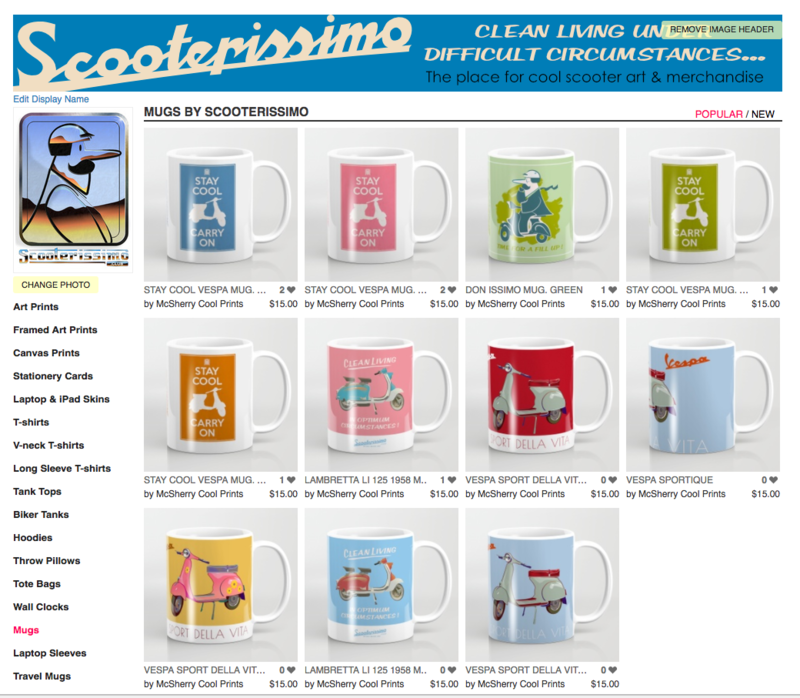 As for Society6, I'm pleased with it so far (I've only been using it for a few days, so I'm not rich yet. :) It's very easy to use in comparison with other ones I've tried in the past. The uploading and editing of files is quick and slick. It looks good too. As items are published, very realistic objects are created, for example, the mugs have the image nicely wrapped around and have a nice shine (see below). As usual, it's all about the marketing, isn't it. That's where I've always fallen down at that stage! Seems as though it can only work with US dollars. Do you have any recommendations? I find with chrome it depends on the shape you're trying to create. All reflective surfaces in general need something to be seen in the reflection (sky, horizon etc...). Good visual reference is what I try to find. Sometimes I will even create something in Blender to mimic what I am shooting for. With the pixel painting ability in designer it's certainly much easier than the all vector approach. Re society6, thanks for the info. I asked because there seem to be dozens of similar sites out there and it's nice to hear from an actual user what their experience is like before making a decision... Cheers!